This Tahoma model is outfitted with a black canvas micarta handle and a double-edged blade with a Black River Wash finish. 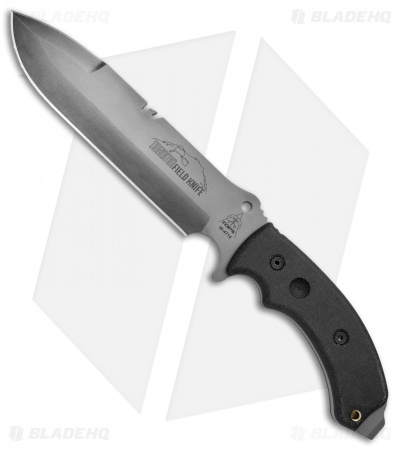 The TOPS Tahoma Field Knife was designed to provide anything the outdoor professional could need in a knife. The weight to size ratio was carefully monitored to provide for comfortable all-day carry and use. 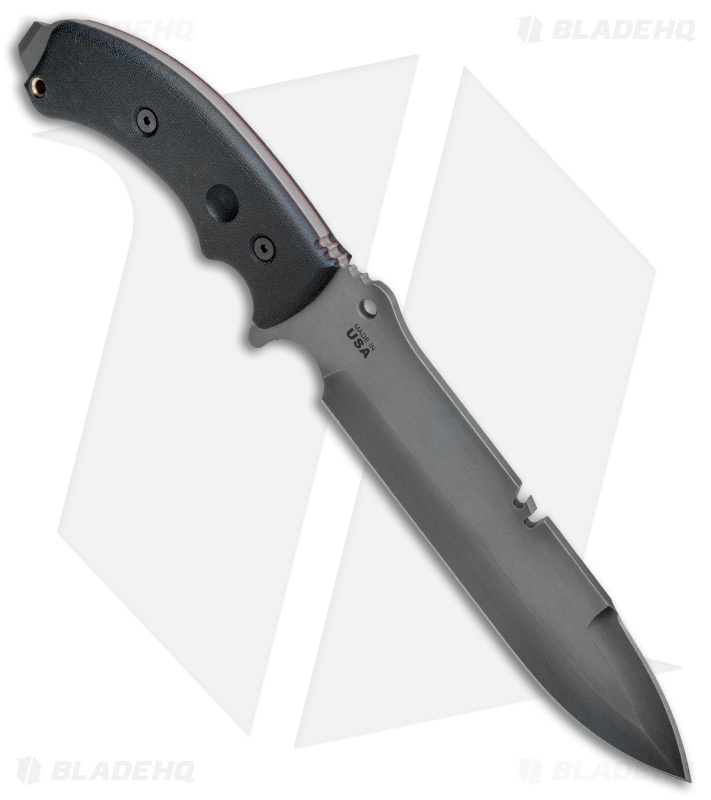 It has a spear point blade with a useful double-edge and a spine notch for a variety of outdoor tasks. The curved handle was designed with ergonomics in mind, with dual spindle sockets and a pry bar at the pommel. Item includes a heavy duty nylon sheath for comfortable carry. Curved micarta handle provides an ergonomic positive grip for any difficult cutting task. 1095 carbon steel blade comes in a Black River wash finish that resists corrosion and wear. 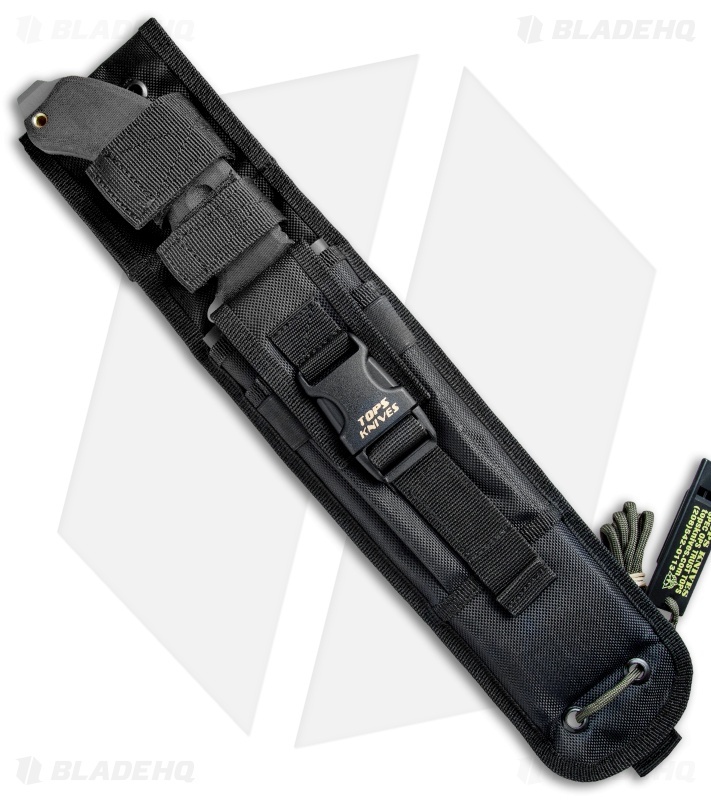 Item includes a heavy duty ballistic nylon sheath for comfortable everyday carry. 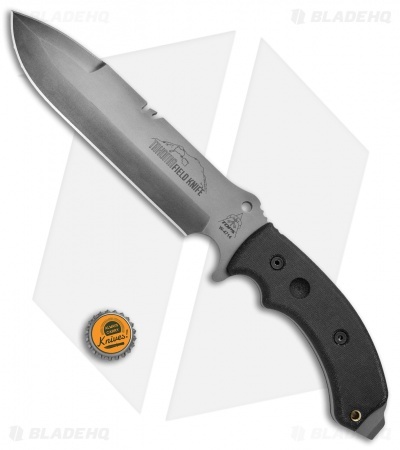 Great field knife for the price! Five months of use and this knife has become my fav for backpacking, camping, etc. I am asked about it on the trail and campsite almost every trip. Will upgrade the sheath soon so it equals the knife.